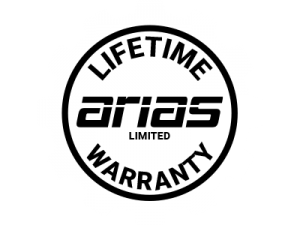 Arias Golf offers a lifetime warranty on the assembly of our clubs, if a clubhead, ferrule or grip ever comes loose we will promptly fix it free of charge for as long as you own your clubs. We also offer a two year performance warranty on any out of the ordinary defects like a shaft that snaps for no reason at the top of the hosel during regular play. Please refer to our TERMS & CONDITIONS section for more info.